1. The Emo. One who posts his drama and issues on Facebook. He is also the one who comments on different posts to make an argument or make you feel sad or irritated. 2. The Selfie. The friend who always posts photos every hour, change of activity, before sleeping and the moment she wakes up. You may have seen all her angles, pores, hairstyles, clothes, shoes, bags, flaws, pimples (if it’s not edited), etc. 3. Updated. 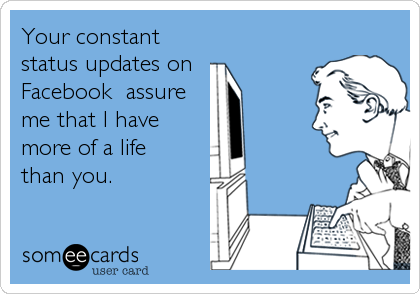 You’ll be too updated once you become friends with him. Updated every minute perhaps? Always showing his whereabouts and the things he does everyday. He doesn’t care if the update is good or bad as long as he updates his friends on the dot. 4. Lurker. 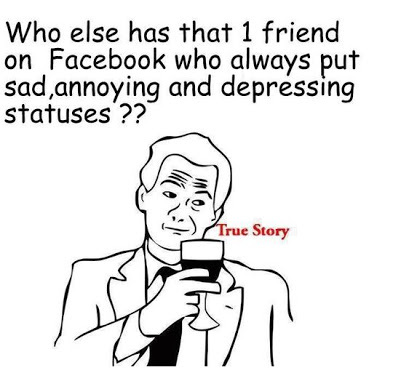 The friend who watches over everybody in Facebook. The one who is very invisible on your wall but very visible in the chat box and yet doesn’t like nor comment. He could also be the friend who reads everything without liking or commenting. You would know a lurker because when you see him, he’ll tell you things that you posted on Facebook but he just chose to ignore it. 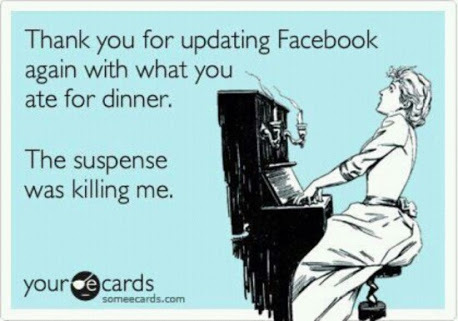 You’ll be surprised on how well he knows you even more than those who actually “likes” your posts. Lurkers are most of the time equivalent to the envious people who don’t have time to like or comment because they still have a lot of people to “lurk.” Now a lurker is way different than a friend who doesn’t use Facebook at all. 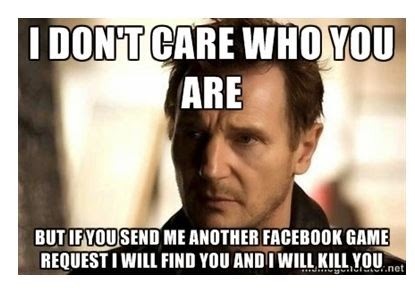 But if you are active online and posts many things but ignores everyone… then you are a guaranteed LURKER. Let me quote a statement that a Pastor posted in Facebook. 5. Instagram and Twitter User. These are the friends who stopped using Facebook and got addicted to use Instagram or Twitter instead. So since Facebook is connected to these accounts, it automatically syncs their posts to Facebook. 8. Seller. This friend only added you on Facebook for business purposes only. He sells you a lot of things and always posts about his business or anything that may make him rich. Other than that, he doesn’t care about you anymore. His question for his everyday decision making is always, “What’s in it for me? 9. Show-Off. These are friends who want to show everything they have, the places they go to, the food they eat, notes in school, Bible verses, songs or even the dance number they performed. 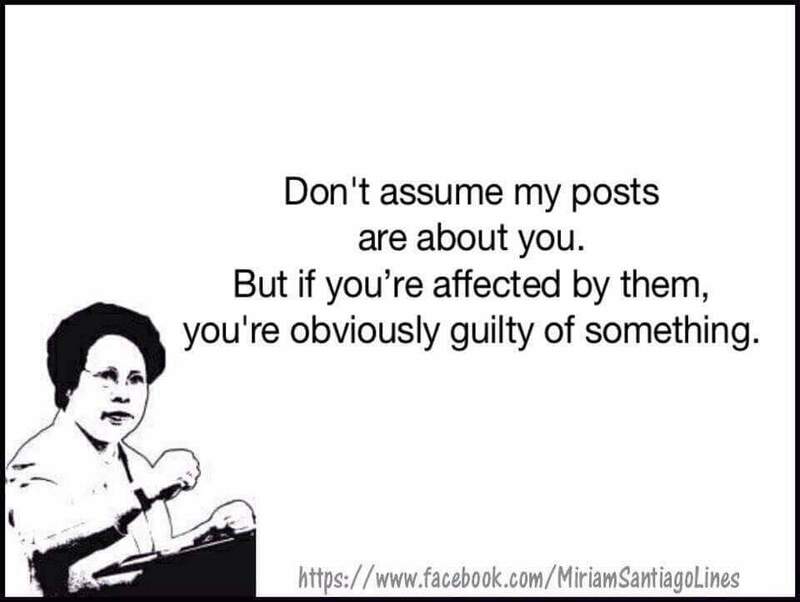 Basically, a person who shows and posts everything GOOD. The difference of a show-off from an updated friend is the fact that he only posts GOOD THINGS.. Never a dull moment with this person who shows everything he has. 12. Preacher. Don’t you love it when you see Bible verses and inspirational posts on your wall? That is not a preacher! 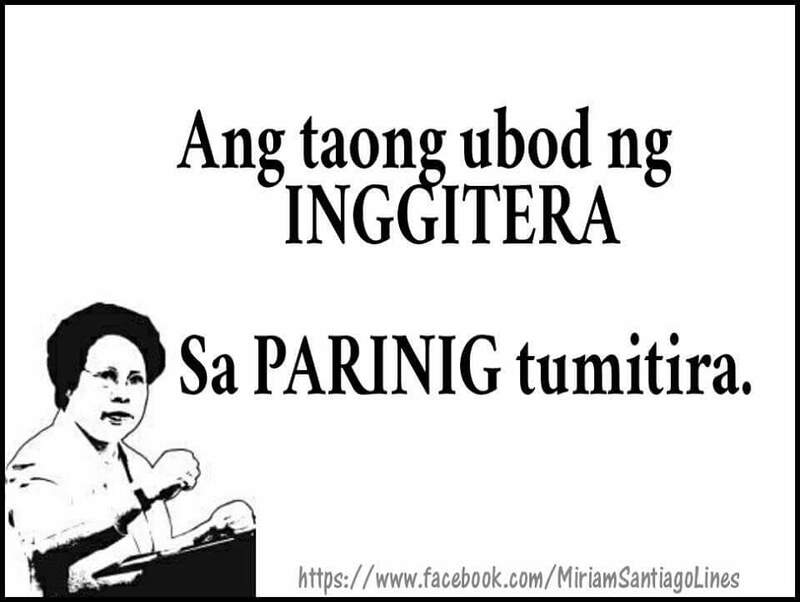 A preacher is someone who keeps on posting about “imperfect” people who seems to be his enemy. A preacher has his own way of telling you how wrong you are and how right he is. This is where debate starts and you tend to answer back in this post and do the same thing he did to you. 13. The “Perfect” Friend. On Facebook, we have a lot of friends with a perfect life. It’s either they really have a perfect life or they just don’t want to post negative things on Facebook or they are simply liars who have a pretend-life online. These are friends that we should be afraid of because they are good in lying and inventing stuff about themselves so they can do it to you too. a. Online. He saw your messages but decided to ignore it. 15. Frienemy. Enemies who pretend to be your friend. They love it when they see you sad and hate it when they found out that you’re happy. 16. Share-It-Away. The friend who always shares anything. He cannot make his own posts but prefers to repost insead. He loves to share anything he finds useful to himself and to others but he is too lazy to make his own post. Guilty? 😁 I too am guilty of being one of your annoying Facebook Friend, but there is nothing wrong in being different or unique. 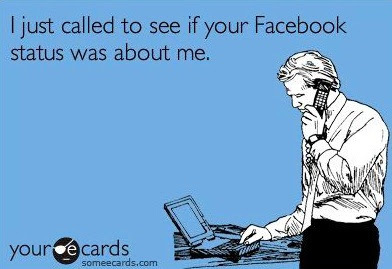 If someone is actually irritated by what kind of Facebook friend you are.. well it only means one thing.. he is not a true friend! There’s one thing to do to them : IGNORE! Because it’s their fault that they don’t like you. 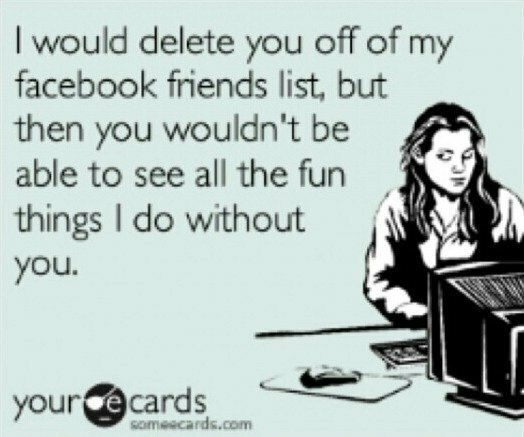 You just have to let them watch you happy or remove them completely on your friend’s list. 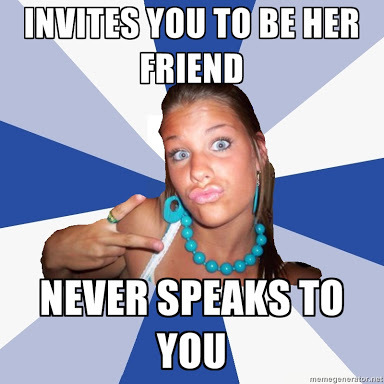 Like what I said, I am also guilty to be one of these annoying kind of friends on Facebook.. But to be honest, I don’t mind at all. 😅 Why? 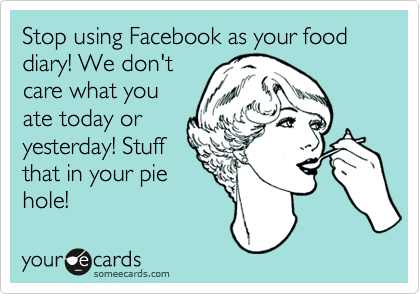 Because I use Facebook to : Interact, Inform and Be Informed. That’s it! 1. Lurk then Follow. Friends who silently watch over all your activities then do the same thing and yet ignore all your posts? For example, I bought something then post a review about it. You ignore. Then you also buy it without acknowledging that you got the review from me. Yes it may be a coincidence that you also got the info from another friend.. but if it happens all the time.. TIME TO BLOCK! 2. Lurk then Judge. 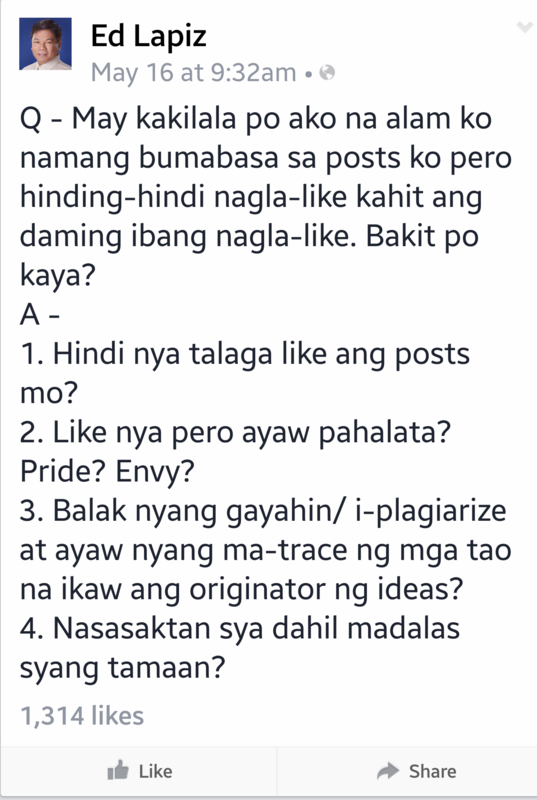 These are the lurkers who are great in criticizing and posting a lot of issues in Facebook. They are the friends who think that they are too perfect to judge other people. The lurkers who watch, judge then gossip about you. You will feel that it’s you when the friend added you then ignore you then post things that are similar to what you do… all the time! Then it’s TIME TO BLOCK. 3. Rude. As long as I already felt that you are hurting me or any of my friends.. TIME TO BLOCK. 4. User-Friendly. When you’ve taken too much of my time, effort and money but you don’t know how to reciprocate.. TIME TO BLOCK. These are friends that are really annoying and I can’t do anything about them but remove them in my world. In the same way that they obviously want to be out of my world too. In the end, the issue here is this… Who did something wrong? Who got offended? We have to respect everyone’s character and attitude and whatever our response to their post reveals our character. Let me give you an example. a. Aren’t you a show-off too? b. Do you really think he’s a show-off or you’re just envious? d. Do you hate the fact that he posts everything all the time or are you just envious that you don’t have the guts to do what he does? 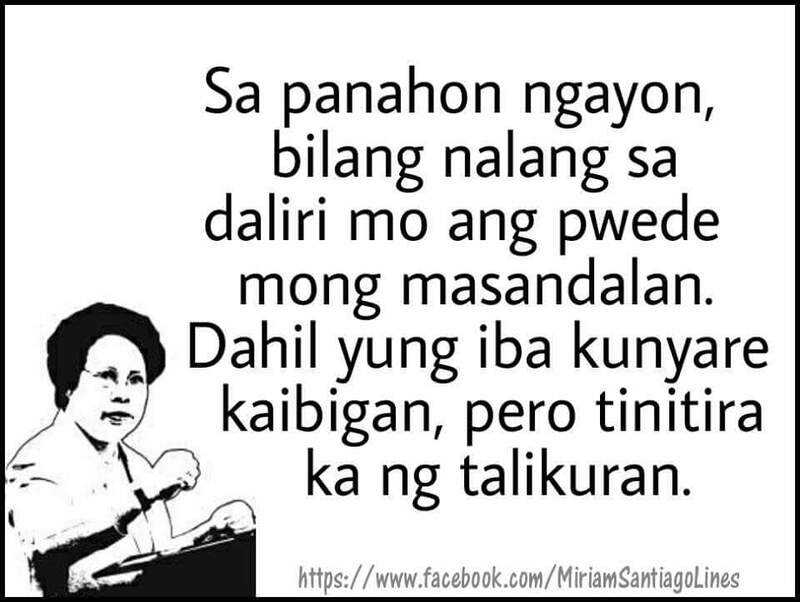 Walang basagan ng trip. Mind your own business. No one is annoying if you are really a true friend and you accept your friend as she is. At the end of the day, we should count our true friends and not just the friends who always say YES to US. Reality check now. 😊 Check your heart 💞 for it may be the reason why you have an annoying friend after all… because maybe.. just maybe.. YOU are NOT annoyed to your friend at all.. but you are actually annoyed to YOURSELF. You want to forgive? Read more about forgiveness here. 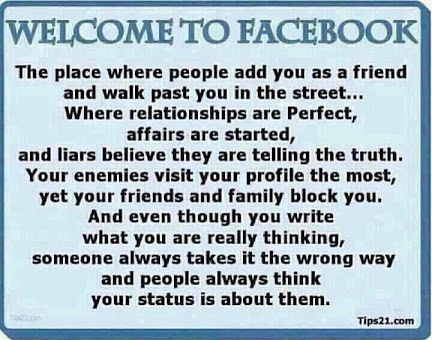 Haha, I see aspects of myself in a lot of these descriptions and now I feel TERRIBLE for my Facebook friends. Thank you so much for taking the time to check out my blog. It means a lot to me.